Obbot Octavian Massingo, OSB, led and presided the mass of the Passion Sunday at the abbey this year (2017). With only one year as the abbot of the abbey this was his first mass on Palm Sunday. 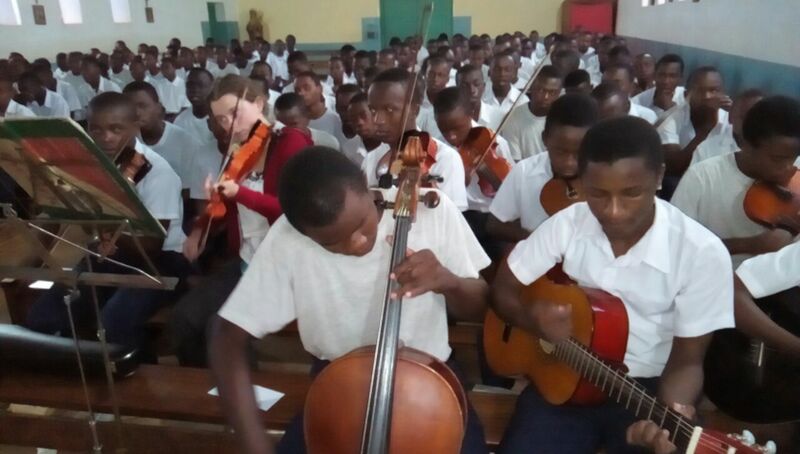 Together with the monks there there also students from the abbey schools: seminary, St. Benedict, Hanga Trade School and Nakagugu Formation House. 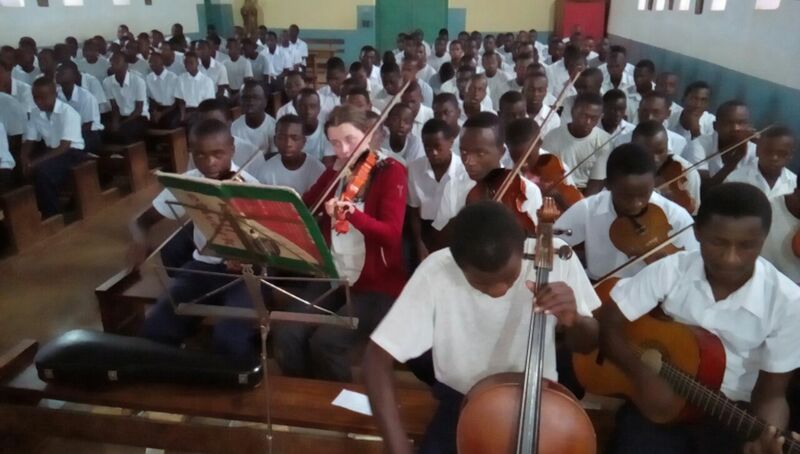 Hanga Religious Seminary takes pride on the music and the seminary brass band. If there is any celebration at Hanga: at the abbey, at the village or at any of the abbey schools, the seminary brass band will there for the entertainment to enliven an event. Thanks to the retired abbot Alcuin Nyirenda, OSB, of Hanga who established the brass band. But also gratitude to Br. Julian of Muesterschwarzach, Germany, who recently added violins to the brass band. Br. 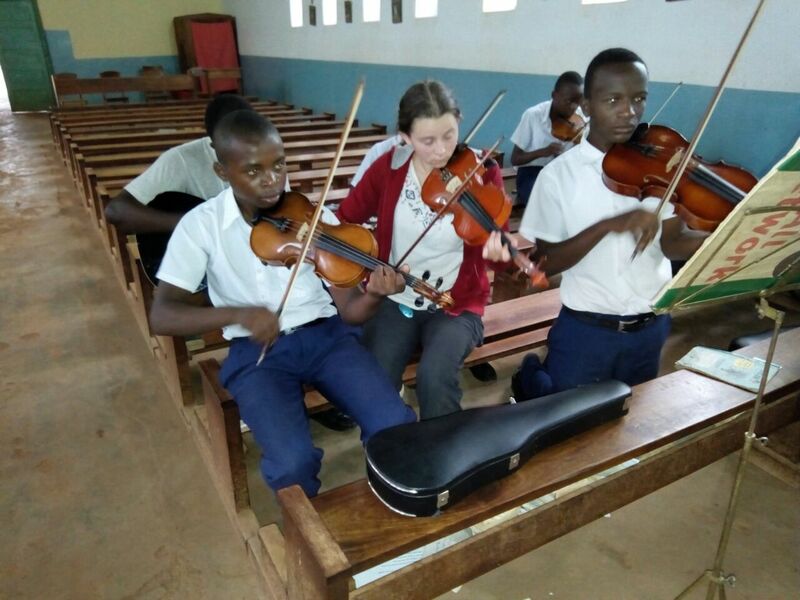 Julian, had stayed at the seminary for about two years and taught music to the seminarians. Better still, Br. 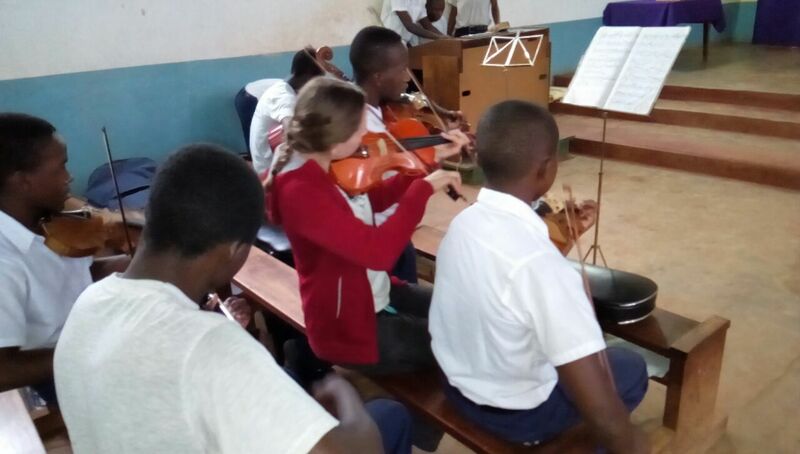 Julian sent his blood sister to continue training the seminarians in music and playing violins. Indeed the seminary is proud of the brass band group. Seminarians in training playing violins. Seminary music group performing for the students and teachers.